This recipe is perfect for those hot summer days when the idea of standing in front of a hot stove is more than you can stand. All you need to do is put the ingredients into your slow cooker first thing in the morning and you’ll have a yummy, easy dinner waiting for you at the end of the day. The BBQ aspect of this recipe is fairly low key. Adding it to the slow cooker infuses the meat with a great BBQ flavor, but the meat won’t be saturated in it. If you want more pronounced BBQ flavour on your sliders, you can add more sauce to the meat after it is shredded. Add the pork shoulder to slow cooker and season with salt and pepper. Add cider vinegar, BBQ sauce, garlic, onion, and shallot. Cover and cook for 8 hours on low. The roast should be very tender after 8 hours. Carefully remove from slow cooker and place on a serving platter or cutting board reserved for meat. Using a fork in each hand, start “pulling” in two directions, working on one small section of pork at a time. The goal is to “shred” the meat into small strands. 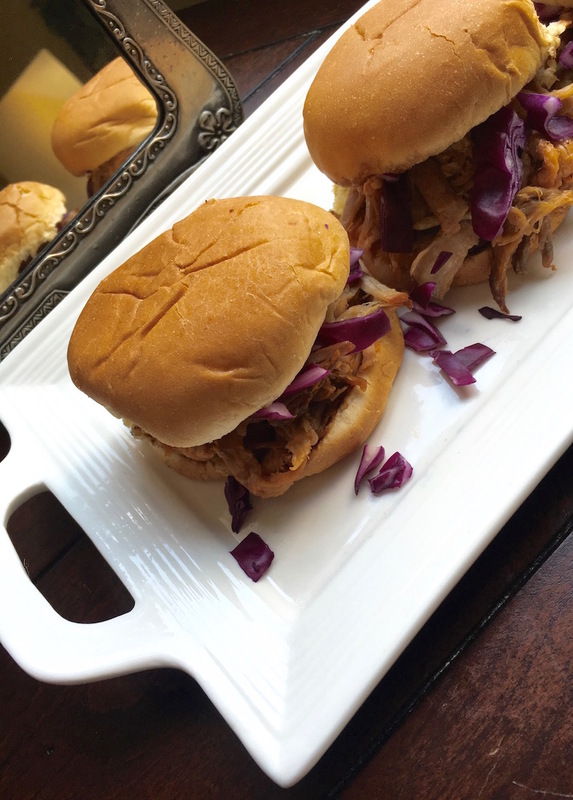 Place shredded meat into a serving container or add it directly to the prepared slider buns. Top with red cabbage for some crunch and colour – or add any of your favourite toppings. Serve immediately.